The Scanning File Clerk classifies and files documents and provides clerical support for the Scanning Department. The candidate will process filing for the department ensuring that files are accurately forwarded to the correct recipient and/or filed in the appropriate file cabinets. The client is a nonprofit company with a very busy atmosphere. Classifies and files documents in consumer and other files. May research (look up) files on computer. Maintains files through purging documents, separating into volumes, ensuring general neatness and usability. Makes copies and packets, distributes documents, and prepares materials for mailing. Additional clerical duties as assigned by department supervisor and/or secretarial staff. Must have experience maintaining complex files. Computer experience required. Some knowledge of Microsoft Word and Excel is helpful. Accurate record keeping, organization, following written and verbal instructions. Must be able to lift and carry files (up to 20 – 25 pounds) and stand for long periods of time, reach and stretch repeatedly. Should be flexible and have the ability to multitask. High School Diploma or equivalent with a minimum of 6 months to 1 year clerical experience. There will be additional testing for this client prior to being considered for this position. 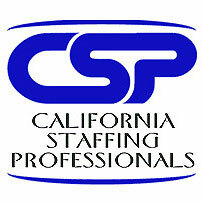 This is a temporary assignment is located in the North San Fernando Valley area. The pay is $13.75 hourly. The client will conduct a series of on-site testing (approximately 1 ¼ hours in length) prior to scheduling the actual interview.